Lovely long staple and BRIGHT! 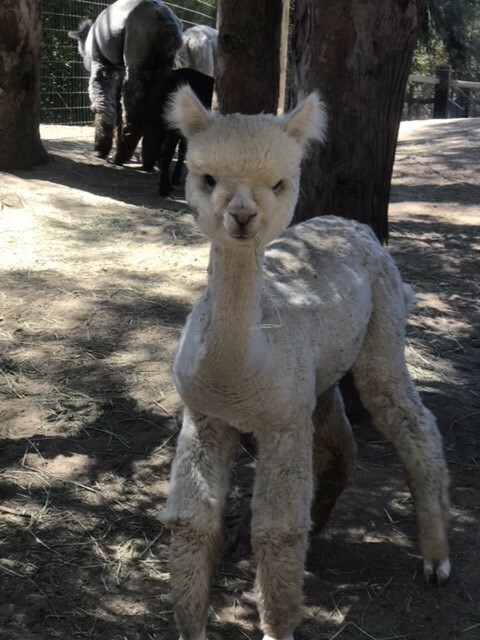 Molly Hatchett is the culmination of years of careful and selective breeding decisions made to enhance our breeding program. 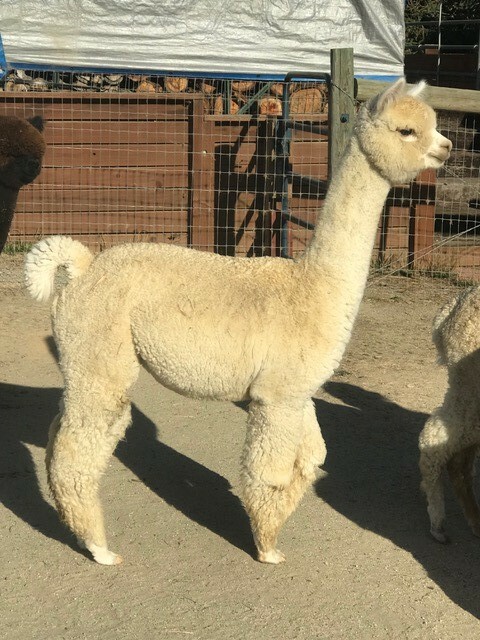 Her sire, Deja Vu's Royal Legacy, is a Snowmass Best Man son who brings to this pairing undeniable fleece density, fineness, brightness, and who has a pedigree that boasts many of the greats in the industry. 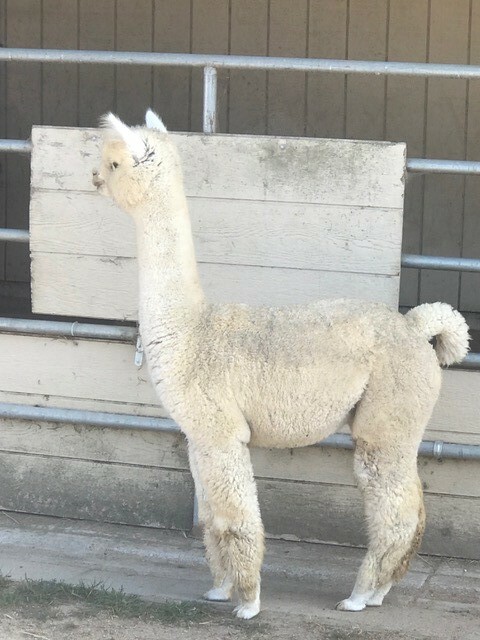 Molly's dam, Colleen, is treasured in our herd for her style, phenotype and retained fineness with great uniformity that not only produced Molly's older sibling, Twisted Sister, but we are sure will help Molly ascend to the top spot on our show string. Phenotypically Molly is everything we breed for. She stands proudly on a sturdy, compact frame with a short back, huge bone, short muzzle, and she has a picture perfect bite. 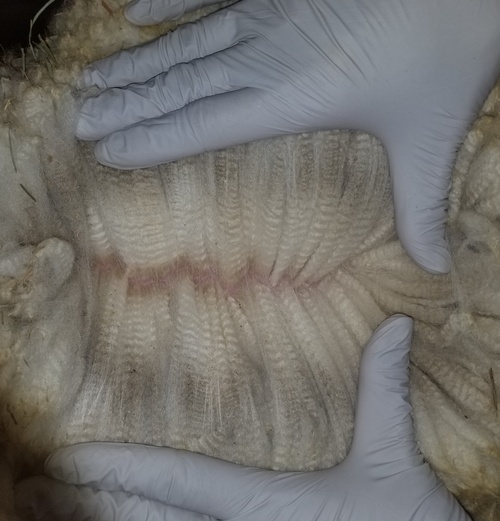 Molly's fleece is very dense with great staple length and extremely consistent uniformity of micron across her blanket. The handle of her fleece is fine, silky, and soft. I'd expect her fleece to be in "royal" micron category or grade 1 fiber. She is an undeniable ROCKSTAR! 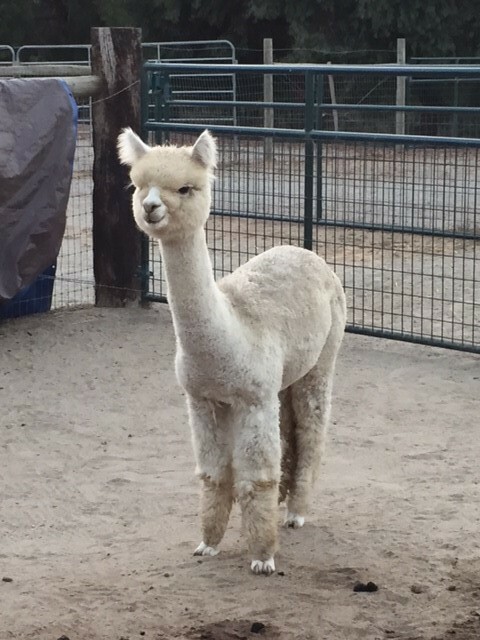 April 2019 - Molly has been exposed to our multi-champion herdsire Silver Rose Overature. Stay tuned for details!! !